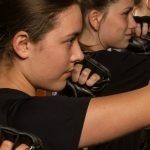 Are you beginning to look for the perfect Katy TX Self Defense Class for you, but you’re not sure where to go? Maybe you’re realizing that you need to be able to protect yourself against threats and potential violence, but you don’t know where to go. 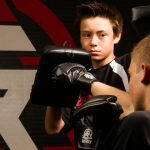 If you’re ready to improve your physical and mental toughness and learn from the best, Tiger-Rock is the place for you. 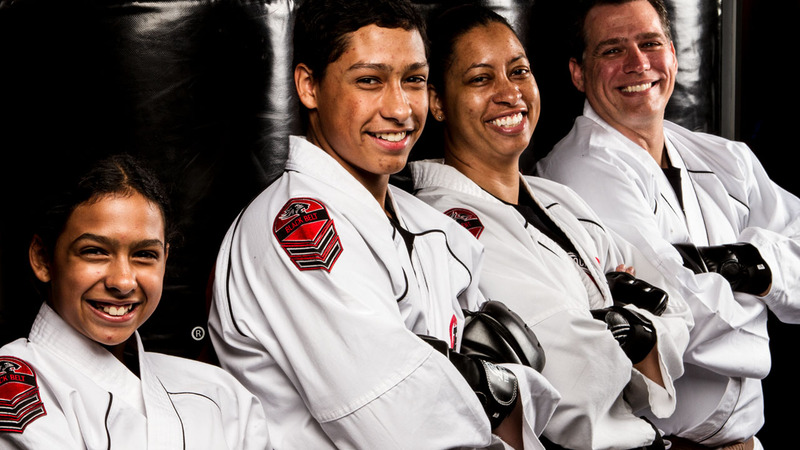 Our martial arts academy has a team of certified instructors who are ready to provide you with the solutions you need. Our team of martial arts experts is more than qualified to train you in self-defense. We were first founded in 1983, and we are currently the most popular and successful martial arts franchise in the country. With over a hundred locations nationwide, you’ll be able to count on us to provide you with expert advice, training, and motivations that lead to real change. You will see your physical and mental capabilities grow past their current limits if you commit yourself to our programs. Self-defense is something that everybody should know about. Regardless of the type of life you live, you’ll want to have the training and tools necessary to overcome threats. Are you worried about what will happen if a stranger approaches you in the middle of the night? If you’re taking a jog in the park and someone tries to attack you, you won’t have much time to think or react. Therefore, you’re going to require self-defense training and techniques to get out of this unfortunate situation. Our certified instructors teach you how to handle real-life fighting situations. We understand that whether the assailant is armed or not, it’s important to be able to ward them off effectively. We give our students hands-on training that teaches them how to handle incoming attacks and assaults. You’ll be able to protect yourself, ward off your attacker, and become a stronger person with our classes. Are you currently unhappy with your physical fitness? Maybe you’re beginning to feel tired after doing everyday things like cooking or cleaning. If you’re noticing that your endurance isn’t where it use to be, we can help improve it. Our self-defense training improves stamina and promotes cardiovascular well being. If you’re ready to start handling more exercise, running, and other high-intensity activities, start with self-defense classes. Another part of our Katy TX Self Defense Class is the added strength you will experience. Many of our students feel like they shouldn’t be practicing martial arts because of their strength levels. While this is a part of our courses, it’s not everything. You will see your upper and lower body strength increase, and your mind will benefit as well. We all know what it’s like to lose focus during an important moment, but it’s critical to get it figured out quickly. Are you beginning to doze off very frequently at work or school? Maybe you’re just not focusing like you used to be and you’re looking for an outlook that can help you. If this sounds like you, we highly suggest finding a martial arts dojo in Katy to go to regularly. Not only will you be able to get some quality exercise, but seeing yourself rank up gradually is something you can’t put a price on. In addition to general self-defense, our instructors teach a traditional form of Korean Taekwondo. We do not promote violence, and while martial arts may seem that way to some, it is simply not the case. Our studio is here to bring a delightful and easy going atmosphere to our students. While we may need to push you at times to reach the best version of yourself, we’re all here to help. None of our instructors or staff members want to see students become discouraged or quit altogether. If you’re ready to figure out how to do better, call our instructors. We have classes that are available for all ages. In addition to providing adults with the experience and guidance they need, we can also help children who are as little as four. It is never too late to learn how to defend yourself by using martial arts. Something else that helps us stand apart is the fact that our class times are so scattered, frequent, and popular. We understand that children and adults alike these days spend a lot of time running errands and staying busy. As a result, we have continued to open up new times for students who can’t attend mornings. We are now open on weekday evenings as well as weekends! When you need the best Katy TX Self Defense Class in town, contact Tiger-Rock Katy TX. We have a team of instructors who would love to help you begin your journey towards martial arts mastery. For more information on how we can provide you with the tools you need, call us today. We can set you up with our introductory course bundle that will give you an idea of what it’s like to be a student here. Houston Community College has a branch that is located in Katy. Though we don’t have a four-year university right now, there are rumors of a University of Houston campus. Residents are crossing their fingers and hoping this comes to fruition; having a U of H in Katy would do wonders for our community! The city of Katy is a place that is located right in the middle of the Sugar Land-Houston-The Woodlands metropolitan area. If you’re trying to go to a place that will give you suburban privacy and a bit of city flair, this might be the perfect location for you. We know that people want to have affordable houses, and this is something you’ll be able to experience in Katy. Our median cost for new homes is very low compared to neighboring cities!